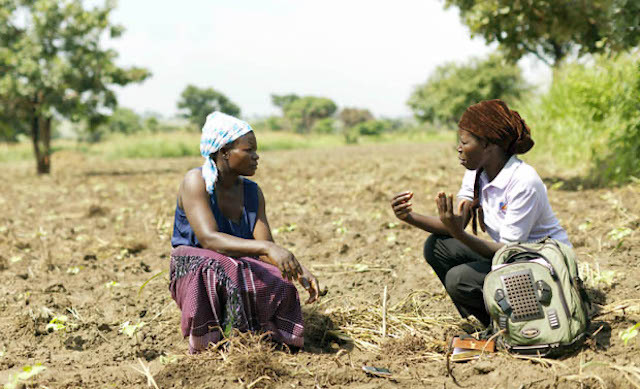 Joska Aweko (left) is working with TechnoServe junior business advisor Jane Akot to improve her farming techniques and increase the income she earns from cotton. A mother of eight, Joska was among the first to return to her village in northern Uganda after a destructive civil war had forced her family to flee their home and live in government-run camps under harsh conditions. Today, Joska has been able to build a new home and send her children to school with the money she has earned from cotton. Joska is one of more than 8,500 Ugandan farmers who are rebuilding their livelihoods with support from the Conservation Cotton Initiative, a partnership between TechnoServe and global fashion company Edun. TechnoServe is helping the farmers adopt practices such as planting seeds in rows to improve their yields. The program is also strengthening farmer groups and connecting them to better markets. Joska has become chairwoman of her farmer group’s Village Savings and Loan Association, which allows the members to pool their savings and issue loans to others in the community. After decades of violence and uncertainty, Joska and her fellow farmers can imagine a future of peace and prosperity. 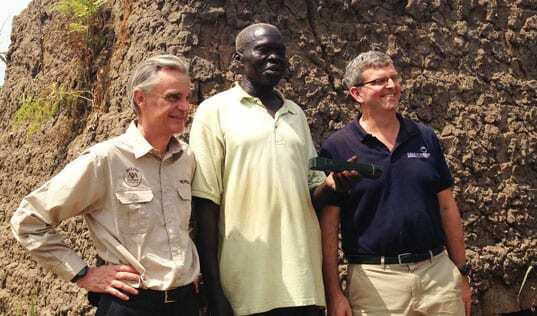 Learn more about our work with cotton farmers in northern Uganda.